Now that you have earned your Level 1 certification, you can take your freediving to the next level! The feeling of accomplishment is what this course is about. With the proper training and education, you'll be amazed at the amount of progress you'll make. Freedive a little deeper, hold your breath a little longer and prepare to be awed at the beauty that awaits below. Our program provides you with the training and knowledge required to safely freedive with a buddy in open water environments to depths of 30 meters. 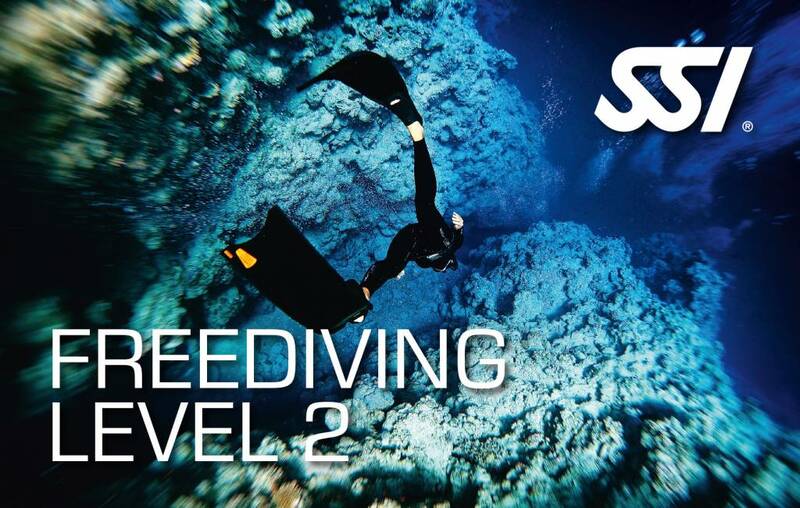 You will earn the SSI Level 2 Freediving certification after completing this program.